KBS broadcasted that Eastern China was a colony of Baekje. "The vast land of the Manju, which is now Chinese territory, has a living and breathing history of Korean ancestors." "The discovery of 5000 year old Goddess statues in Oct 1984, have shocked the Chinese archaeological society." "The excavation reveals the sign of the birth of new civilization." "Among East Asian Civilization, this area has the oldest and most developed civilization." "This has been termed 'Yoha Civilization'." "Prof. Yi Hyunggyu who has studied 'Yoha Civilization' for 30 years declares that Yoha civilization is strongly related with us Koreans, not Chinese." "In Wuharyan, 5500 year old remains along with the temple of the Goddess are concentrated." "Since the 1980s, the cultures older and more developed than Yellow River civilization have been discovered in northeastan asia, outside the chinese wall." make the rich cultures proven from the discoveries the root of the Hua civilization, which is a self-contradictory non-sense." Lt. General Hodge said Korea was an enemy of the United States. On September 9th, at a surrender ceremony, Hodge announced that the Japanese colonial government would remain in tact, including its personnel and its governor-general. After a major outcry, Hodge replaced the governor-general with an American and removed all the Japanese bureau cheifs, though he, in turn, enlisted the former Japanese bureaucrats as advisors. Faced with mounting popular discontent, in October 1945 Hodge established the Korean Advisory Council. The majority of the Council seats were given to members of the Korean Democratic Party which had been formed at the encouragement of the U.S. and which was primarily made up of large landowners, wealthy businesspeople, and formers officials in the colonial government. A few members of the PRK were offered to join, but they refused and instead criticized the Council appointees for their collaboration with the Japanese. LOL! You are telling that is all lies? Do you think Chinese cannot fabricate the history? In reply to your post, this is accurate overview of South Korea. According to the foundation story written in Samgookyusa, Gojoseon was founded by Dangun who was the son of Hwanwung and Woongnyeo (a bear woman). Hwanwung moved down from the heaven to Baekdu mountain(백두산, 白頭山, Chanbai, 长白山, Golmin Šanggiyan Alin) with 3000 followers. Some day, a bear and a tiger visited Hwanwung and they asked him a way to be humans. Hwanwung gave them garlic and mugwort and told them to live inside a deep cave eating only the garlic and mugwort 100 days, then they would turn into humans. The tiger gaved up in 99th day. The bear endured 100 days, and finally turned into a human woman. Hanwung named her Woongnyu (a bear woman), and married her. They had a son named Dangun, and Dangun founded Gojoseon kingdom. Historians interpret the bear as a tribe with bear totemism, and the tiger as a tribe with tiger totemism. Who is the bear tribe and who is the tiger tribe is controversial. ◦Ideology: Give benefits to all over the world. •Southern people in Korean penninsular who cultivated rice moved to Japan during late Jumon period and they transferred early rice cultivation to Japan. See Korean connection to Japanese in details. •TV Drama: Tae Wang Sa Shin Gi. Beginning part is based on the foundation story of Gojoseon. Gojoseon collapsed at the invasion of Han dynasty (108 BC), and continued with 11 dynasties. ◦Official name: (early) Goguryeo, 고구려, 高句麗. (later) Goryeo, 고려, 高麗. JolBon (졸본) castle in Manchuria, the first capital of Goguryeo (고구려). ntry on top of the high mountain in BC 37. The founder's name is Choomo (or Joomong). His father was a king of Buyeo kingdom. According to the legend of Samgooksagi, his mother delivered an egg and hse born out of the egg. ◦King Ganggaeto conquered Buyeo, East Buyeo 410, Biryeo (碑麗, Khitan tribe), Suksin (Sushen, 肅愼, Jurchen) 398, expanding territory. ◦TV drama Jumong: The foundation story of Goguryeo. The background is Buyeo and Goguryeo. oved down to south with Goguryeo people, and founded Baekje inside Mahan kingdom BC18. ◦Poongnabtowseong is the ruins of a royal castle of Baekje (Wureseong, 위례성) built between BC100s-AD200s. This castle was buried 4 meters underground. Inundation of Han river for 1500 years carried mud and soil and buried this castle. It is a miracle that most of underground relics are safe even though modern people built buildings on it. Some achaeologists call it the Pompey of Korea. Suprisingly a lot of people are living inside the castle building apartments. It had not been known until 2000 that it was the ancent capital of BaekJe (백제). Preservation of it is a big social and political issue because land price in Seoul is extremely high, and the estimated cost to preserve this castle is over 10 billion dollars. ◦Baekje transfered Buddism, Kanji (Old Chinese characters), and Man'yogana which is the original form of Hiragana and Katagana to Japan. Last edited by chuck888 on Thu Aug 05, 2010 9:23 am, edited 2 times in total. Stop distorting the history in northeast asia. We know how china distorted history to their advantages. 2002년 2월 시작된 중국의 동북공정이 31일을 끝으로 당초 계획된 5년간의 공식 활동을 일단 마무리한다. 동북아역사재단의 이인철 책임연구위원이 지금까지 그 전모가 확인되지 않은 동북공정 연구과제 114개(공문 7개 포함)를 추적해 이를 분석한 자료는 동북공정의 전체 그림을 그리는 데 큰 도움을 준다. 중국사회과학원 변강사지연구중심은 2002∼2004년 홈페이지를 통해 동북공정 연구과제를 공모했다. 연구과제는 크게 일반 공모를 거치는 일반과제와 연구자를 지정해 위탁하는 위탁과제로 나뉜다. 위탁과제는 공개되지 않는다. 이들 연구과제는 △고대중국강역(국경)이론 △동북지방사연구 △동북민족사연구 △고조선·고구려·발해사 등 한국고대사 △한중 관계 △중-러 관계 △공문서·문헌정리와 번역 등 7개 계열로 나눌 수 있다. 7개 계열 아래 다시 2002년 1차연도 기초연구분야 27건 등 총 52건, 2003년에는 20건, 2004년에는 15건 등 세부과제가 공시됐으며 연구신청서를 받아 심사를 통해 공식 채택되면 공식 ‘연구과제(입항·立項 과제)’로 등록된다. 이 책임연구위원이 확보한 것은 이들 연구과제의 목록과 연구자 이름, 소속기관의 정보다. 연구과제는 2002년 50개, 2003년 45개, 2004년 7개, 2005년 12개 등 모두 합쳐 114개다. 2005년과 2006년 연구과제는 모두 위탁과제였기 때문에 공개되지 않았는데 이 연구위원은 2005년 연구과제도 입수했다. 변강사지연구중심이 사실상 2006년 후반기에 동북공정을 마무리 지었다는 관측이 나오고 있기 때문에 2006년 연구과제는 많지 않을 것으로 추정된다. 이번 조사결과는 “동북공정의 성과물이 100권이 넘을 것”이라는 동북공정 실무 책임자 마다정(馬大正) 변강사지연구중심 동북공정 전문가위원회 전 주임의 발언과도 부합한다. 7개 계열 중 공식적인 한국 관련 계열은 한국고대사와 한중 관계 2개다. 그러나 다른 계열의 연구과제에서도 한국고대사나 한반도와 관련된 경우가 있을 수 있다. 이 연구원은 단순히 제목만 보고 한국 관련을 추정했을 때 공문서류 7과제를 제외한 107개 연구과제의 52%(56개)이고, 내용까지 분석하면 그 비율이 70%를 넘을 것으로 예측했다. 중-러 관계 연구과제가 전체의 17%에 불과한 점을 감안하면 동북공정의 칼끝이 어디를 향하고 있는지가 분명해진다. 마다정 전 주임의 후임인 리성((려,여)聲) 주임은 지난해 9월 “한국 관련 주제는 동북공정 전체의 10%도 안 된다”며 동북공정에 대한 한국 측 반응을 이해할 수 없다고 주장했다. 이번 조사는 그의 주장이 허구라는 점을 여실히 보여 준다. 또 한국고대사 관련 51개 연구과제가 고구려(48%)와 발해(26%)에 집중된 점도 확인됐다. 연구책임자의 소속이 확인된 103개 과제를 기준으로 97명의 연구 인력이 투입된 것으로 조사됐다. 그중 2개 이상의 과제를 수행한 인물로 중국사회과학원의 마다정, 리성과 리다룽(李大龍), 헤이룽장(黑龍江) 성 사회과학원의 부핑(步平), 장쭝하이(張宗海), 동북사범대의 리더산(李德山) 등 8명으로 조사됐다. 이들 연구원의 소속을 분석했을 때 동북공정이 중국 중앙정부와 동북3성의 합작품이라는 점이 뚜렷하게 드러난다. 가장 많은 연구를 수행한 지역은 중국동포가 많은 지린(吉林) 성이 46%로 압도적으로 높았고 그 다음은 러시아와 국경을 접한 헤이룽장 성으로 21%였다. 세 번째는 랴오닝(遼寧) 성을 제치고 베이징(北京)이 차지했다. 그 베이징 학자 18명 중에서 14명이 사회과학원 학자였다. 2002년 위탁과제로 드러난 쉬원지(徐文吉) 지린대 교수의 ‘조선반도 남북통일 진전 및 그것의 중국에 대한 영향 연구’는 동북공정이 한반도의 유사시에 대비한 국가안보 차원의 포석이기도 하다는 점을 보여 준다. 쉬원지 교수는 김일성종합대에서 유학했으며 지난해 4월 북한 인민문화궁전에서 지리학 국가박사학위를 받을 만큼 북한통으로 정평이 난 경제학자다. 2006년 국내에도 ‘동북공정 고구려사’로 번역 소개된 마다정·겅톄화(耿鐵華)·리다룽 등의 ‘고대중국 고구려사 속론’이 2002년 5개의 위탁과제 중 하나라는 점도 새롭게 드러났다. 2003년도 연구과제 중 리더산의 ‘조선반도 민족·국가의 기원과 발전’에 대한 과제 지침을 보면 삼한·신라·백제 등의 민족 기원 연구가 포함돼 있어 공간적으로 고구려뿐 아니라 신라·백제까지 연구를 확대하고 있음을 보여 준다. 또 ‘중국과 조선반도 고고문화학 비교연구’와 ‘중국과 조선반도 석기시대·청동시대 고고문화학 비교연구’ 같은 연구과제는 시기적으로 선사시대까지 포괄하고 있다. 동북공정의 공식 종료가 중국의 역사왜곡의 중단을 뜻하는 것은 아니다. 오히려 동북공정의 5년은 토양을 다지고 씨앗을 뿌린 기초 작업으로 봐야 한다는 것이 학계의 중론이다. 동북공정이 추진되는 동안 중국 지린 성-헤이룽장 성-랴오닝 성 산하의 사회과학원과 문물고고연구소, 주요 대학마다 동북공정의 논리로 무장한 연구원을 대거 양성하고 그들의 근거지가 될 연구기관들을 만들어 놨기 때문이다. 전호태 울산대 교수는 “동북공정은 동북3성 곳곳에 중국 측 논리에 입각해 학문연구물들을 생산해 낼 일종의 신형 엔진을 설치하는 인프라구축사업으로 봐야 한다”고 말했다. 일단 인프라가 깔리고 나면 더 왕성한 학문연구물들이 쏟아져 나올 가능성이 크다는 것이다. 고구려연구회의 서길수(서경대 교수) 이사장은 29일 국회의원회관 소회의실에서 열릴 ‘중국의 동북공정 5년 그 성과와 한국의 대응’이라는 토론회에서 발표할 논문에서 동북공정의 추진 주체가 이미 변강사지연구중심에서 지린성사회과학원으로 이동했다고 주장했다. 서 교수는 2004년 창간된 지린성사회과학원 ‘동북사지’라는 잡지에 3년간 실린 동북공정과 유사한 주제의 논문이 301편에 이르며 고구려 관련 논문이 106편, 발해 관련 논문이 17편, 고조선 관련 논문이 9편에 이른다는 점을 제시했다. 서 교수는 ‘동북사지’의 사장이자 지린성사회과학원 부원장인 장푸유(張福有)가 마다정이 이끈 동북공정 전문가위원회 소속이라는 점에 주목했다. 2004년 이전까지만 해도 고구려 관련 논문을 단 한편도 쓰지 않았던 사람이 그해에만 5편의 고구려 관련 논문을 발표하며 고구려전문가로 둔갑했다는 것이다. 서 교수는 “2004년 한국 측의 반발이 거세진 시점에서 장푸유가 동북사지를 창간하고 무려 300여 편의 논문을 게재했다는 것은 변강사지연구중심으로 쏠린 한국의 국가적 관심을 우회하면서 지린성사회과학원을 통해 그 연구를 진행했다는 의심을 사기에 충분하다”고 주장했다. People in Manchuria was called in many different names, Jurchen, Dongyi, Sukshin, Yupru, Malgal, etc. The ancestors of Manchus are people who lived in current North Korea and Manchurian area. Both Koreans and Manchus explain their origin from Baekdu Mountain (Chanbai, 长白山, Golmin Šanggiyan Alin, 백두산, 白頭山), and this mountain is regarded as a sacred place to both ethnics. Jurchens were one of the tribes of Goguryeo, Balhae, and Gojoseon. Hambo who was from Silla (新羅) moved to northern Korean penninsular, and originated Jin dynasty (Aisin Gurun, 金朝, 금나라) unifying Manchuria. When they restored Jin dynasty in 1616 (later changed to Qing dynasty) , they coined the term "Manchu" referring to themselves. Qing government published a history book ("The origin of Manchu" [1 ] ) about their origin defining Manchu tribes, and all Korean tribes were included as Manchu. In the book, they explained their origin from Silla (新羅). Genetic analysis shows that Manchus are genetically closest to Koreans among Koreans, Mongols, Japanese and Chinese . Manchuria was homeland to ancient Koreans for Gojoseon, Goguryeo, and Balhae kingdoms. Korean gene significantly contributed to Manchu gene pool. According to the foundation story of Gojoseon, three tribes are related to Gojoseon people. Hwanung tribe, the bear tribe, and the tiger tribe. Some historians believe that Jurchens are one of the tribes. Manchu Tungusic people have bear totemism  and Northeast Korea to East Manchuria is the traditional habitant of Tigers. One of theories explains that the origin of the name Jurchen was from Sushen (肅愼, Suksin, 숙신), and the terms of Jurchen, Sushen, Joseon are from the same origin with differentiated pronunciation . Jin dynasty had a national ritual every October for their ancestor Gaecheon-hongseongje (開天弘聖帝, 개천홍성제) in Baekdu Mountain (长白山, 백두산, 白頭山). Gaecheon-hongseongje means "The sacrit person opening the heaven with spirit Hong (弘, great and broad)". The founder of Gojoseon is called Dangun(檀君) who originated Koreans from the Baekdu Mountain, and Koreans have a ritual every October too. The day of the foundation is called Gaecheon-jeol (開天節) which is a national holiday of Korea. The main idealogy of Dangun was Hong-yik-Ingan (弘益人間) meaning "great and broad benefits to people". Manchu Qing dynasty recorded him as "開天宏聖帝" in the origin of Manchu (滿洲源流考). Both "宏" and "弘" are "Hong". Jurchen was part of Goguryeo as king Gwangaeto conquered Sushen (肅愼, 숙신) in 398. As Chinese Tang invaded Goguryeo, Jurchens as people of Goguryeo fought against Tang army. was old Goguryeo's area. After the collapse of Silla, some people of Silla escaped to north to Jurchen's area (current north Korea). They unified Manchuria establishing Jin dynasty. The originator of Jin dynasty was a Silla person. His name was Hambo. The emperor of Jin dynasty was called a Silla person by Song Chinese who visited Jin in 1120s. Some history books say that the Jurchen King was a Silla person, others say that the originator of Jin was first from Goryeo. It is because Silla was replaced by Goryeo. However, Chinese, Mongol, Korean, and Manchu history records are consistent impling that Jurchen kings are originally from Silla. •"The name of the originator of Jin(金) is Hambo(函普). When he came first from Goryeo(高麗), his age was 60"
•"Agolta (阿骨打) of the Jurchens declared to be the Emperor, ... He was originally a person of Silla (新羅人)"
•Jurchen Agolta named the state Great Jin (大金) (... He is originally a person of Silla). •The originator of Jin, Hambo was first from Goyreo. 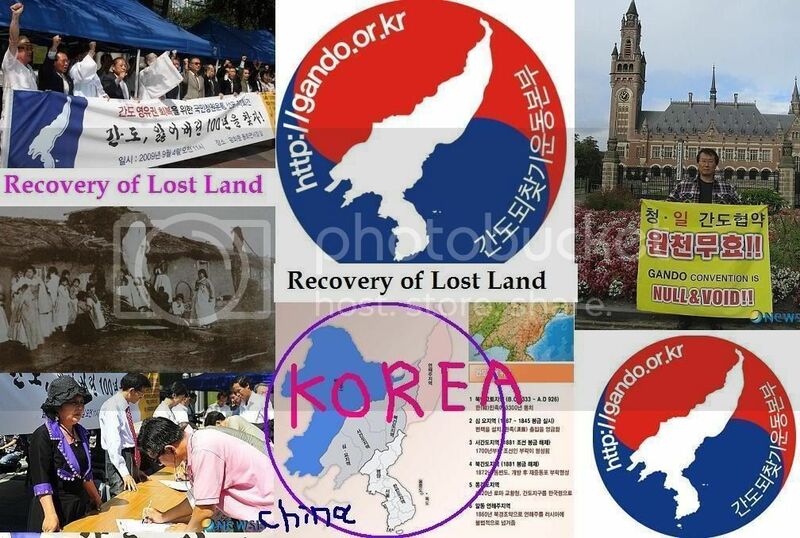 •"People of Jin was originally Pyungjoo people in our country Goyreo. Goryeo was a mother country of Jin." •"The king of Jurchens is originally a Silla person"
Until when did the royal family of Jin dynasty know that they were from Silla? When Jurchens visited Goryeo, they said their country was originated from Goryeo. •" My ancestors (我祖宗) originated from your High country (大邦: Goryeo)." When Jin dynasty invaded Song China, two Chinese emperors were captured as hostages in 1127. Southern Song Chinese visited Jin dynasty to negotiate with Jin to find a way to get their emperors back in 1129. They stayed in Jin for 10 years and wrote all information about Jurchens. They wrote that the leader of Jurchens was a person of Silla . It shows that the royal family of Jurchen was called people of Silla even after Jin dynasty was founded. This record is highly credible because it was written during Jin period. •The king of the Jurchens is a person of Silla. Who is exactly HamBo(函普 ), the originator of Jin(金) dynasty from Korea? name because it was written during Jin period and it is the earliest record. There are several historic records with different names about him in Korea. It is generally accepted by historians that he is a prince of the last king of Silla, GyeongSoon . When Silla was replaced to Goyreo, his prince joined movement to recover Silla. The name of the prince is Kim Bu (김부, 金富) in Hyangchal (the writing system used in Silla period) [13 ]. The prince and his followers staged in Inje , Gangwon province for the movement to restore Silla. They built Little Silla (신라소국) there. After Goyreo's attack, they moved to a Jurchen's area (YoungHeung, Hamgyeong-NamDo , North Korea) [11 ] [12 ] [7 ], and he became the originator of Jin(金, Kim) dynasty. It is believed that he had a big number of followers with military trained for battles with Goryeo, and it made possible for them to lead Jurchen tribes in the early settlement. Minority theory explains that Hambo was another prince of the last king of Silla, or possibly the last king himself. Manchu Qing dynasty(1636-1912) is the successor of Jurchen's Jin dynasty (1115-1234) . Jurchens rebuilt Later Jin dynasty in 1616. They changed the country name to Qing (1636), and conquered China (1644), Mongolia (1697), Taiwan (1683), Tibet(1750), and Uyguru(1759). The royal family of Qing believed that they were descendents of Jin's royal family. Manchu people in Qing dynasty also knew that the originator of Jin dynasty was from Goryeo (or Silla). Qing government published their own history book, "The origin of Manchu (滿洲源流考) " in 1777. They explained that the originator of Jin dynasty was first from Goryeo in the the book of History of Jin, but it is because the words Silla and Goryeo were used referring to Korea. They explained that Hambo was actually from Silla(新羅). Also, they wrote that the origin of the country name Jin (金) was from the surname of kings of Silla(新羅). Kim (金) is the most popular surname in Korea and it was from the surname of Kings of Silla. In this book they explained their origin from Silla. •Thus, the originator of Wanyan Jin (金) came from Silla. •Silla came to Wannan family. Silla kings' surname 金(Kim in Korean) inherited ten generations. So, Jin(金) came from Silla. There is no doubt that it became the country name. Also, Qing emperors' surname was "愛新覺羅". Interestingly, it can be read as "love Silla (愛 新羅) and remember Silla (覺 新羅)". The surname "愛新覺羅" means gold(金) clan in Manchu pronunciation (Aisin Gioro). The surname Kim(金) of Silla kings means gold too. After the end of Qing dynasty, the descendents of royal family changed their surname to Jin (金, Kim). in Odoli Castle which is in current Hoeryong (회령), North Hamgyong in North Korea where was part of Joseon dynasty since 14th century [15 ]. They were a vassal tribe to Joseon dynasty, and they treated Joseon as a mother country. The founder of Qing dynasty, Nurhachi, was born in Joseon Korea. He called Joseon dynasty "mother country" in the letter to Joseon showing willingness to help Joseon at the invasion of Japan in 16th century. The foundation story of Qing dynasty explains the birth place of Nurhachi, who was the founder of Qing, as the east of Baekdu Mountains which is current North Korea [16 ]. •"There was a lake called Bulhūri at the foot of Bukūri Mountain, located to the east of the Baekdu Mountains. When three angels bathed in that lake, a magpie left a fruit on the youngest angel Fekulen's clothes. She ate the fruit and became pregnant. She mothered Bukūri Yongšon, the founder of Aisin Gioro. He was later welcomed by the people as the Beile. He settled at Odoli Castle on the Omohoi Plain and became the founder of the Manchu State." How long did Silla identity remain? It is not clear how long Silla identity remained in the royal family of Jin dynasty. However, there are several clues implying their identity. His brother moved with him, and in commonsense, their family and followers must have moved together. It is not clear how many people moved from Silla. If Ham Bo ( 函普) is Kim Bu (金富) who was the last Silla prince and the leader of Silla Recovery Movement, a lot of followers must have moved with him to the Jurchens area. They must have married women among their group in the early period. Traditionally, royal family of Silla married only among their royal family members. Marriage of brother and sister was common to maintain a pure blood line. People of mixed heritage was excluded in the central pure royal family [14 ]. So, their descendants after Hambo can be 1/2 Korean, 3/4 Korean, 7/8 Korean, 15/16 Korean, ... 255/256 Korean in Aguda. This part is not clear, so we should not assume anything without clear evidence. However, it is clear that they had identity as people from Silla at least until 12th century after they founded Jin dynasty and moved capital to Beijing. Southern Song Chinese visited them wrote them as people of Silla in 1129.
" The king of the Jurchens is a person of Silla." After Jin included Balhae, Jin royal family marred women from Balhae. Jin dynasty's kings were from Silla descendants and queens from people of Balhae. After they built Qing dynasty, they used the royal surname "Aishin Giro (愛新覺羅)" meaning Kim (金, Jin) family, and published the Origin of Manchu (1777) explaining their origin from Silla, correcting the records of other history books explaining from Goyreo. They included all Korean tribes in the concept of Manchu. It implies that they considered Koreans as the same ethnic group sharing the common origin from Silla during Qing dynasty. deadlock wrote: KBS broadcasted that Eastern China was a colony of Baekje. LOL, you are so pathetic and desperate. You spend all time searching about Korea? You should give a full translation, and where is a source for this? You must be those chinese who seriously believe that Koreans claim Confucius. Some korean nationalists claim Confucius, as covered in the medica and news. Shame. born along the Yellow River. reaches of the Yangtze River. originated in the Yangtze Valley of China around 9,000 years ago. from Hunan Archaeological Research Institute and Harvard University. ago situated in Hongjiang, Hunan Province,China. consisting of three parts: ritual site, sacrifice pit, attached buildings for meeting and rest and cellars. and wife(supposed to be the tribe head) dated 5800 ago were especially conspicuous, only in these two graves large exquisite jadeware were discovered. decoration patterns like: magic bird phoenix, beast fangs, octagon constellation and the sun. —7500 ago such as: “火”、“⊙”、“井”、“圭”、“▽” in which “⊙” was identical to “日” in oracle bone inscriptions. The first emerged ancient city of around 6000 years old located in Li Yang Plain, Hunan Province. the earliest dated brick laid roads. The oldest rice paddy of 6500 yrs was also found there. BTW, the accomplishments of Chengtoushan Culture were ever displayed in the Shanghai WorldExpo 2010.
among East Asia" declared by the Koreans. contradictory to the former conclusions have come out. type most genetically close to the Han Chinese with the closest matrilineal inheritance. Liaoning and gradually replaced the natives and became the main dwellers. mixed ethnithity and culture then emerged. Chinese distorted the history of Northeast Asia? Funny! The Koreans said that their history started around 5000 years ago by a legendary person Dangun(檀君) but providing no record and archaeological evidence. 夫餘(Fu Yu), 女真(Jurchen), and 满族(Manchus). The history of now day Korea emerged as a united nation with a single ethnicity made up of the Samhan people from central and southern Korean Peninsula actually started from Goryeo Kingdom (918-1392). The northern part had always been under the reign of Chinese central regimes with rulers and many dwellers of Chinese origin. The recorded ancient Korean period (Gojoseon) comprised two dynasties: Ji-zi(箕子) Korea (1122 BC-194 BC) and Wei-Man(衛滿) Korea (195BC-108BC) which were founded respectively by royal family member Ji-zi of Shang Dynasty of China and a fugitive Wei-Man from the ancient Yan State in northern China. In 108BC, Wei-man Korea was destroyed by Han Dynasty due to the subordinate regime getting out of control, then the northern Korea was included into the Han territory and divided into four prefectures called "The Four Han Prefectures" (108BC-313AD). After the collapse of Wei-man Korea, another northeast ethnic regime called Gao-gou-li(高句丽)(Goguryeo) (37 BC-668) was set in Gao-gou-li(高句丽) county in Liaoning China under the governance of central regime. Later it expanded into the northern Korea confronting another two native southern Korean kingdoms: Silla (57 BC–935 AD) and Baekje (18 BC–660 AD). In 668, Goguryeo kingdom was defeated by the Tang Dynasty (618--907), and the northern peninsular again came under the total control of China, the large majority of Goguryeo people were moved into the central plains and assimilated into Han people. The part of Goguryeo territory (ranging from eastern Liaoning to northern Korea) left in Korea was given by Chinese governments in two different times, one is in 748 the Tang Emperor ordered 5% of the total area for the unified Silla Kingdom, then the rest was given away in 1392 by the first emperor of Ming Dynasty. The present Koreans insist that the Goguryeo belonged to their own history, the Goguryeo people were their ancestors so the northeastern China is of course their territory. They just ignore the fact that the late Goryeo Kingdom (918-1392) was established 250 years after the disappearance of Goguryeo, and the composition of Goguryeo people originated from mainland China was quite different from the Goryeo people who was formed by the native Samhan ethnicities in the southern peninsular. As to the relations between the Korean and Jurchen, Manchus, don't want to say too much here, in short, koreans are koreans, manchus is manchus, and Jurchen is Jurchen. Upon giving away the Goguryeo area in northern Korea by Ming emperor, the unified Koreans began to drive away the Jurchens and other Goguryeo offspring out of the peninsular by force, now they claim they were actually one family. According to TWSSG, there is indeed West and East Baekje, which are divided by Bohai/Balhae sea. West Baekje (better known as Dae-Ryuk Baekje for Continent Baekje) would be present day Hebei, China (you know, Qingdao beer ^^). because China denies this, and Korean records that directly link to it are destroyed or missing it is very controversial and most ppl only refer to Baekje as just that, the kingdom near present day Seoul and Incheon of South Korea. However, on closer examinations of both Chinese and Korean records, and Western scholarship, there has been many indirect links to the existence of a West Baekje, which was even greater in geography and population. For example, Chinese scholar/librarian 宋書 recorded “Baekje is west to Yo-Ha river”.